Quilting designs [all straight lines] inspired by classes with Harriet Hargrave and Diane Gaudynski. 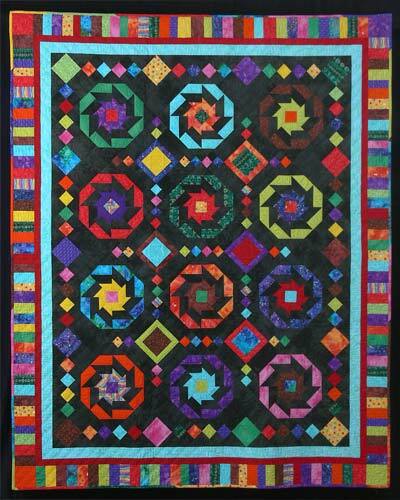 This quilt taught me how difficult it is to photograph dark and busy quilts tomake sure the machine quilting shows. 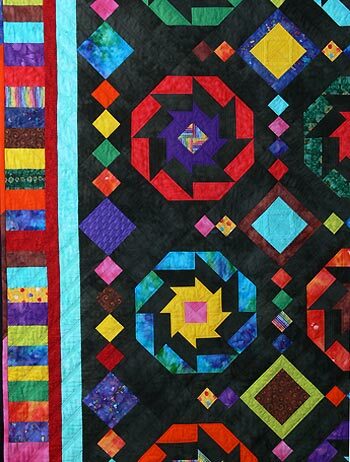 Scroll down for detail photos that give you an idea of what the quilting looks like. 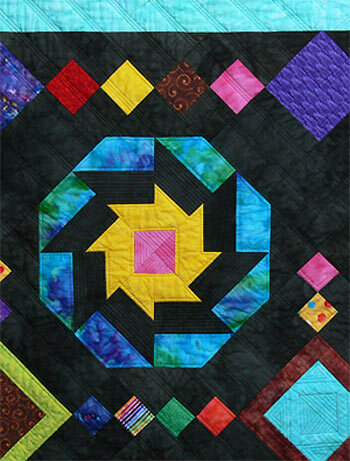 The back is pieced in an Amish Bars pattern using bright contemporary fabrics.